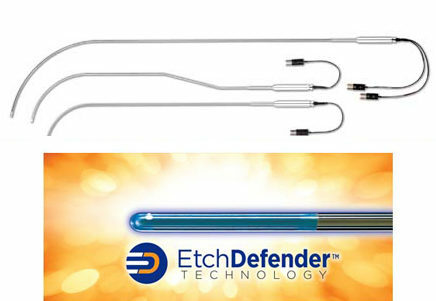 Conax introduces EtchDefender™—the patent-pending solution for extending the life of quartz thermocouple sheaths. 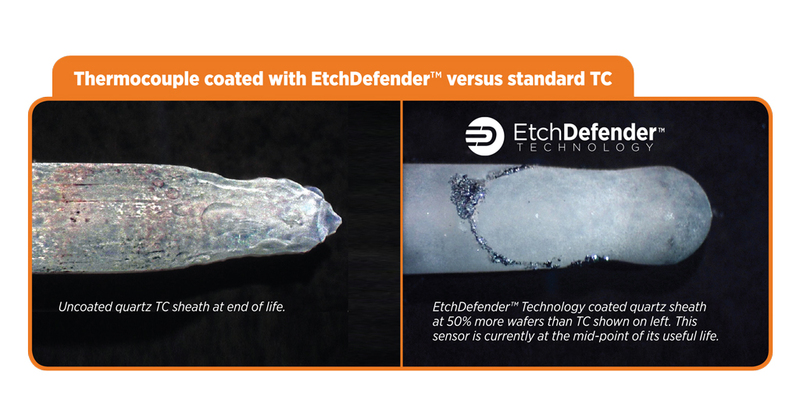 EtchDefender™ is a quartz coating technology that can triple the life of the quartz sheath and provide savings of 35% to 45%. Conax’s cutting-edge technology has been tested both in the laboratory and in a production environment at a major wafer manufacturing facility. We manufacture our sensors using the best available materials, cleanest assembly cell and the finest workmanship in the industry. 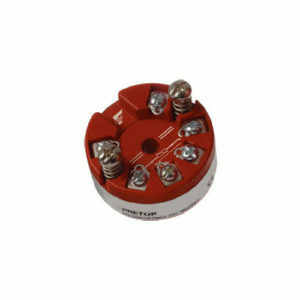 We are the only manufacturer who can customize designs and configure sensor sets that optimize our customers’ performance objectives. We start specifying our sensors using a base configuration model comprised of selecting one of 7 quartz sheath thickness options and one of 4 wire diameter options, creating the possibility of 28 base configuration models. Yellow shaded boxes denote OEM standard quartz and wire sizes; OEM part numbers are show in italics, Conax does not make these parts for ASM® but makes similar units as described by the Conax Series numbers shown in the chart. Wire Diameter 0.005" 0.008" 0.010" 0.012"
Wire Diameter 0.008" 0.010" 0.012"